The one and only full length from Kim Deal's post-Pixes and Breeders group, released in 1995. 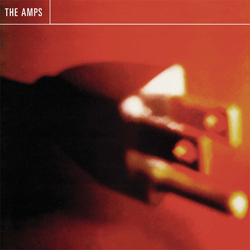 Though The Amps were originally intended to be a solo project for Deal, they quickly developed into a full fledged band, recording tunes that were slated to be part of the 3rd, never recorded, Breeders' album. Sloppy, raucous, and life-affirming rock and roll that owes more than a little to their fellow Dayton-ites Guided By Voices, Pacer is as good or better as any of the Breeders' releases. Another classic 90s reissue on 180 gram vinyl from Plain Recordings.